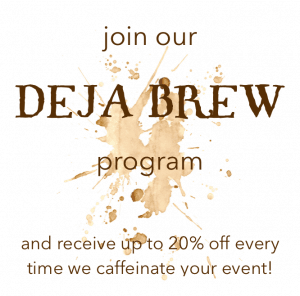 Find the right coffee catering pricing and services for your event. 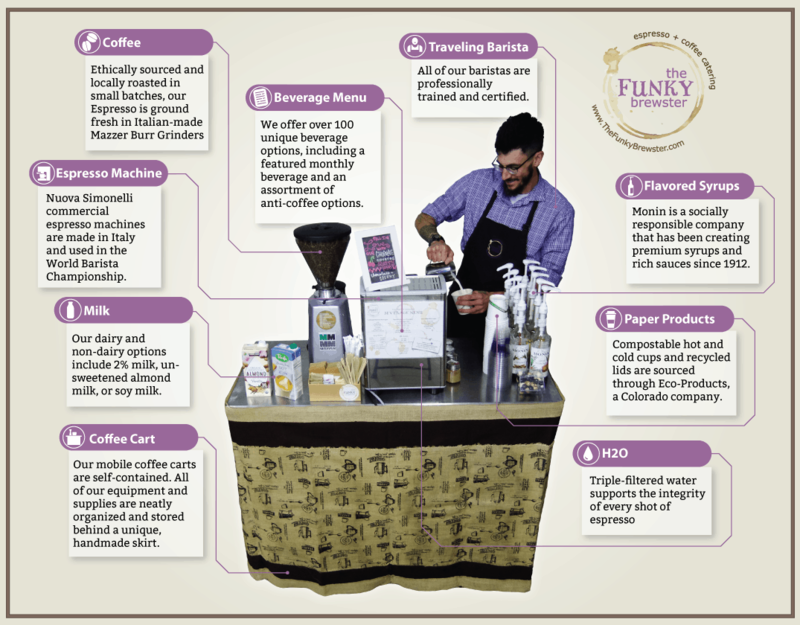 Book our mobile baristas and espresso carts near Orange County, Los Angeles and Denver. 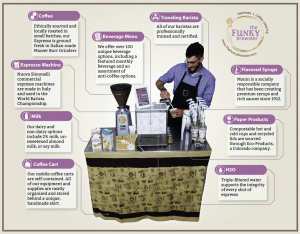 Our essential espresso and coffee cart services are created primarily for office gatherings, employee perks, and corporate events. They are also the perfect fit for private parties, impressing a potential client, or treating your best customers to a delicious handcrafted latte! Our Coffee-On-The-Go option allows our clients to offer prepared brewed coffee, hot tea, and hot chocolate as an alternative to, or in addition to, our handcrafted espresso beverages. This service is perfect for serving a large number of people in a short window of time. We recommend having one of our traveling baristas there to serve, restock, and clean as necessary, but we also offer a self-serve option to help you stay within your budget!